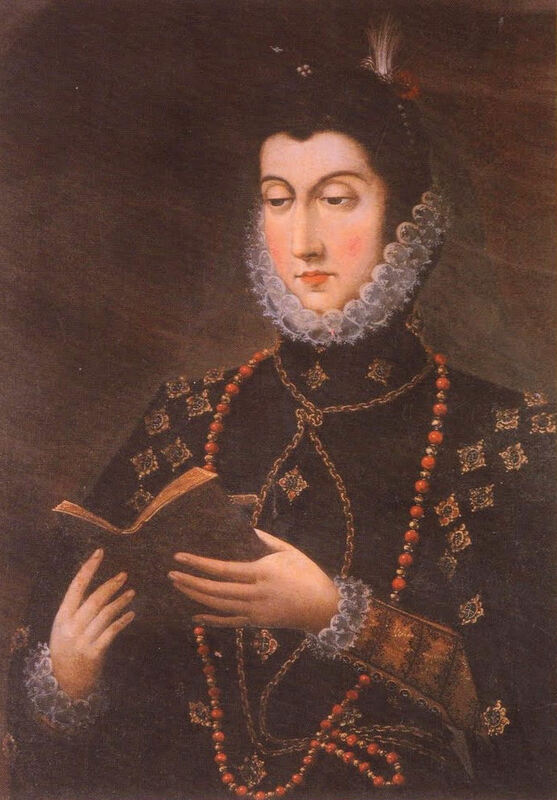 Doña Magdalena only allowed Jeromín [Don John of Austria] two days in which to rest from the fatigue of his journey, and to visit the village and castle; the third day, which was a Monday, she made him begin to regulate his hours and studies, according to the plans she had prepared. She had given him a room near hers, and the chaplain García de Morales who was to be his tutor and instructor in religion and Christian doctrine, was lodged on the other side. 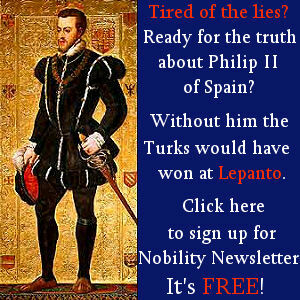 The chaplain Guillén Prieto was given the care of his secular education, and the noble squire Juan Galarza undertook to instruct him in the theory and use of arms and also in riding. Doña Magdalena for her part reserved the duty of training him in the love of God and of his neighbor, which she easily did by always showing him the good example of her saintly life, rather than by rules and precepts. Charity was the distinguishing virtue of this great woman, made brighter by her discretion. She thought that the duties of her rank consisted in forwarding God’s glory and the good of her neighbor, particularly of her vassals, to whom she felt specially bound by the mere fact of her position. She gave away her ample income, and, later, distributed her fortune, which was not entailed, in this way, to relieve misery and the material wants of the poor, to supply the needs of their souls, and to increase the service of Our Lord and His honor. In order to further these objects she founded hospitals on her estates and beyond them, in increasing numbers she redeemed captives, and so continuous and copious were her alms, that after her death she was called “God’s almoner.” She also founded colleges, schools, missions, and catechizing; and was so munificent in what referred to God’s service that, not content with raising sumptuous temples, at one time she ordered 500 silver chalices to be made and distributed among poor parishes which did not possess any worthy of the Blessed Sacrament, the object of her special devotion. Doña Magdalena had ordered her accountant, Luis de Valverde, an honorable old man, to ascertain the wants of the poor of Villagarcía, and to give each one a paper signed by him, setting out what in his opinion was lacking to the bearer. The poor brought the papers at a special time to Doña Magdalena, which was very early in the morning, not to interfere with their work. She religiously paid them, adding to the alms the balsam of compassion, good advice and respect for misfortune. This was Doña Magdalena’s hour of recreation, and she had also chosen it to instill in Jeromín charity and respect towards the poor, which after the fear of God is the first duty of the great and powerful. This lady got up at sunrise at all times, and at once went to Jeromín’s room to wake and dress him. They heard the mass read by García de Morales, and then Jeromín was dispatched to await in the cloisters the arrival of the poor people. He made them sit on two stone benches which ran along the lower cloisters, giving preference to the old and infirm, and then went to tell his aunt, for by this name, according to Quijada’s wish, the child began to call Doña Magdalena. “Aunt! There are such a lot of poor,” he used to announce. Then she would come down with two big purses, one filled with silver reales for the poor who were proud and had Valverde’s papers, the other one with pence for the ordinary poor who had no papers, to whom she always gave 20 maravedises and upwards. Doña Magdalena collected the papers, and Jeromín gave the money, very respectfully, kissing it first, cap in hand. One day, however, there came among the poor a very dirty old man from Tordehumos; it disgusted Jeromín to touch his hand, so he let the money fall, as if by accident and the old man had to pick it up. But Doña Magdalena, guessing the reason, stooped down and picked it up herself, and gave it to the old man, first kissing the dirty hand. Jeromín flushed up to the roots of his hair, and full of shame went on with his task. Three days afterwards the same old man came again. Jeromín turned crimson on seeing him, intentionally dropped the money, stooped and picked it up, and kneeling down, kissed first the money and then the hand of the old man. 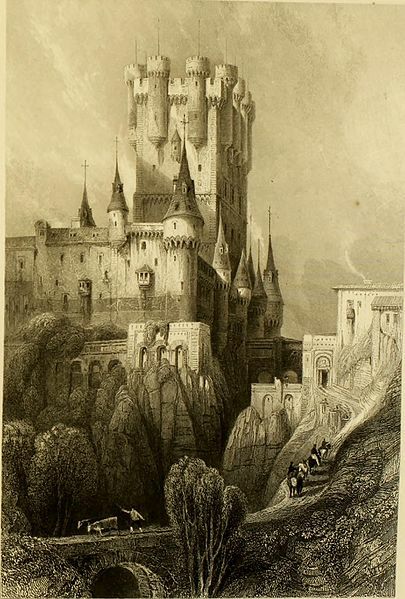 Thus the child profited by and understood the lessons given him, and grew and flourished amid the love and blessings of everyone in the castle. Rev. Fr. 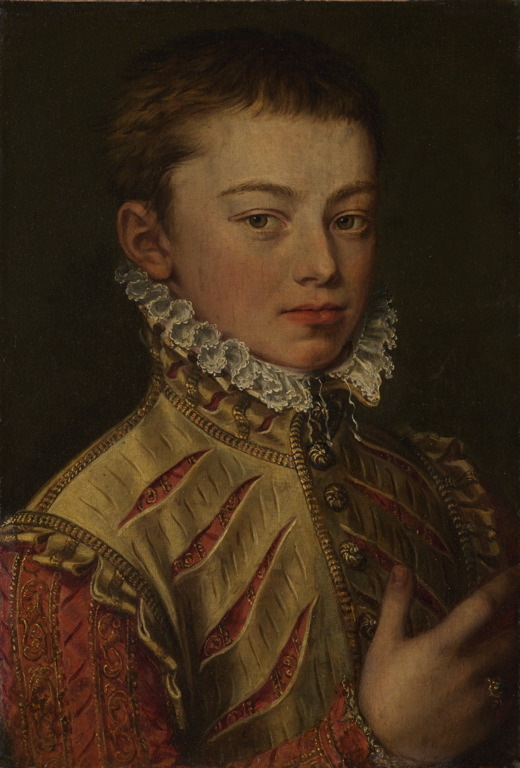 Luis Coloma, The Story of Don John of Austria, trans. Lady Moreton, (New York: John Lane Company, 1912), 26-8.